Private Burt Lake slice of heaven. 134' of prime NW waterfront! Sunrise side views in this 5-bed, 4 bath gem w/ fieldstone fireplace & hardwood floors. Wide-open living area with cathedral ceilings & giant windows, breathtaking views. Large living room a second family room for over-flow. Large open kitchen w/ first-rate cabinetry. Open dining area w/yet more views of the lake. Large master bedroom/bath is on the main floor for your convenience. Two large bedrooms and bath on upper level. Basement includes 2 bedrooms/bath large storage area with access to lake. Gorgeous sun room off back deck. Home features super-sized deck for entertaining. 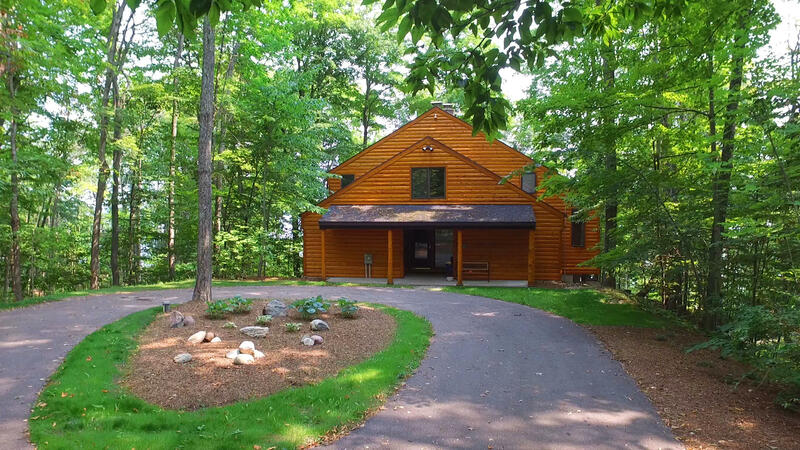 This home is in a very private setting with plenty of trees to buffer you from the world. Large detached garage for all of the toys.